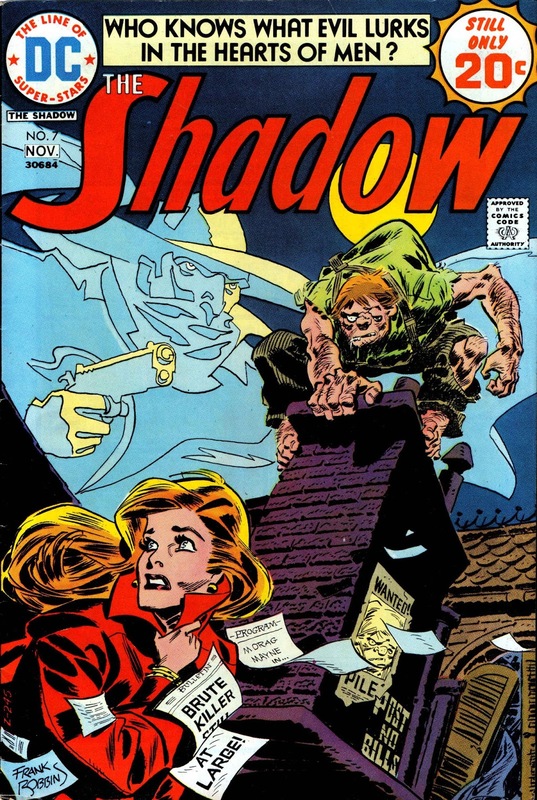 Love this issue of The Shadow, not least because it sports ( yes, I'm saying it ) one of the top 10 covers of the Bronze Age. 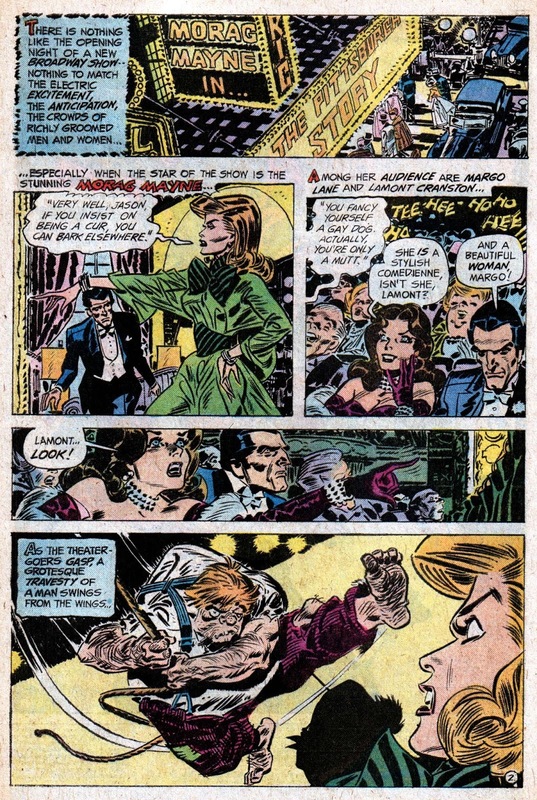 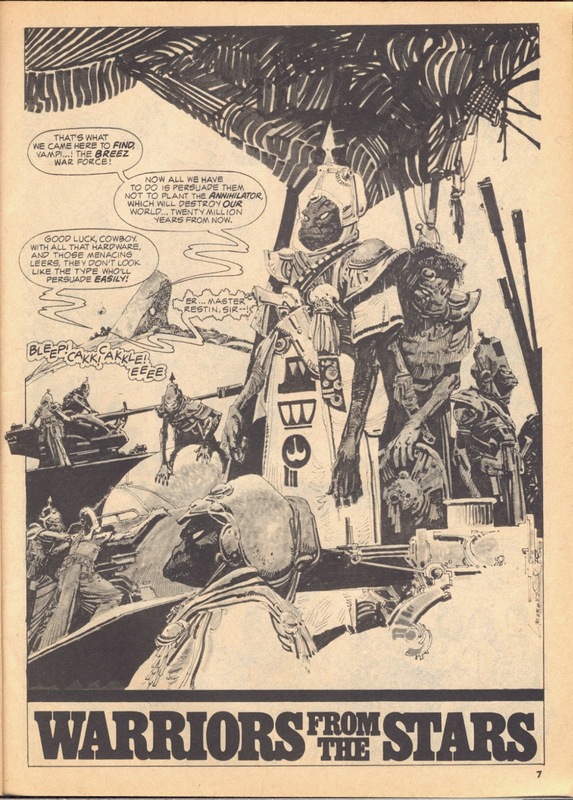 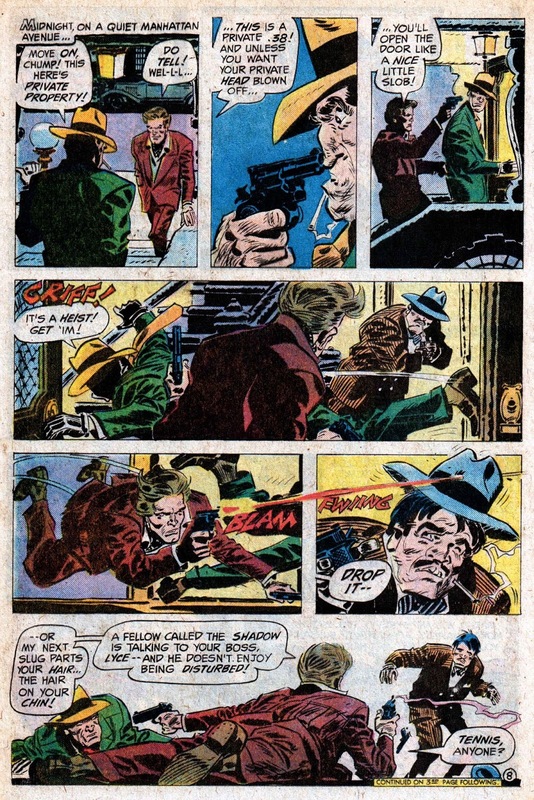 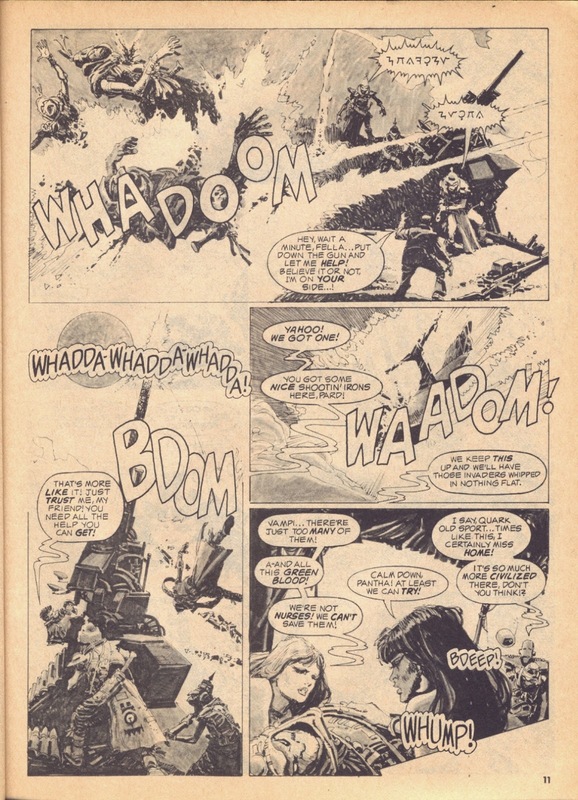 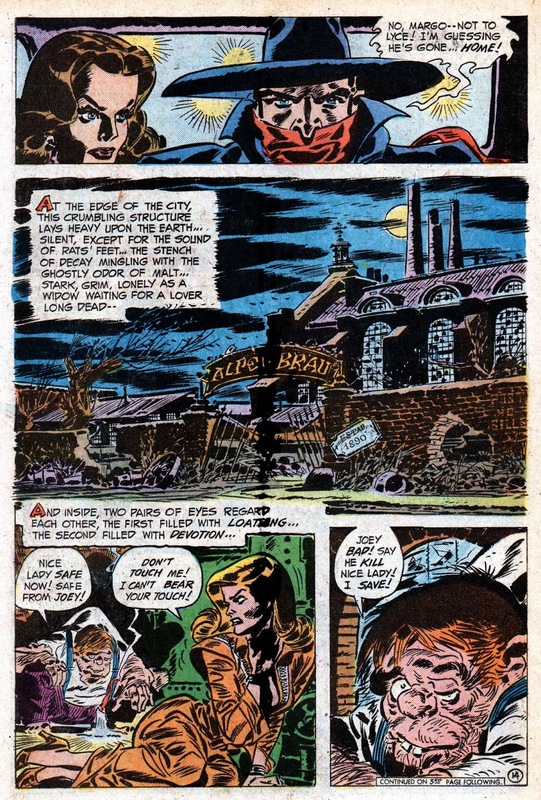 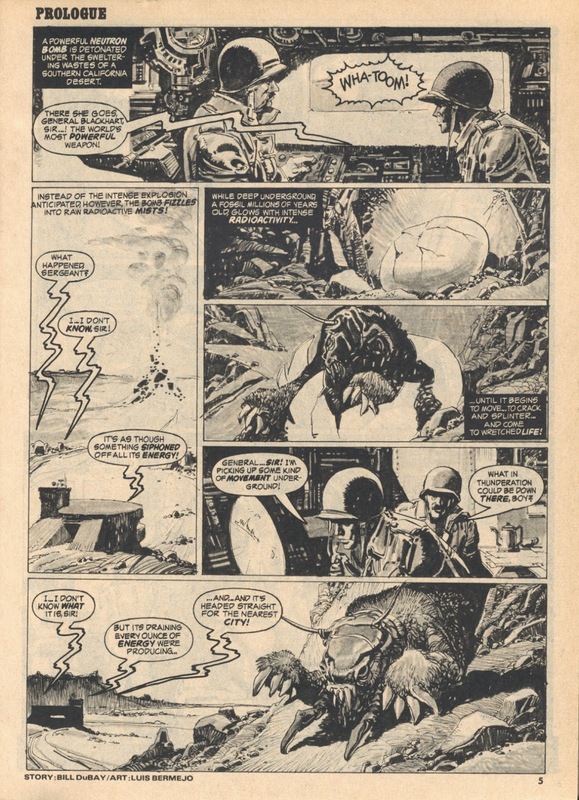 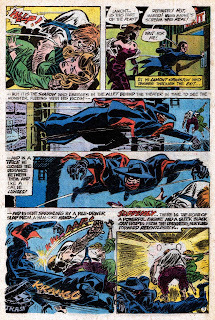 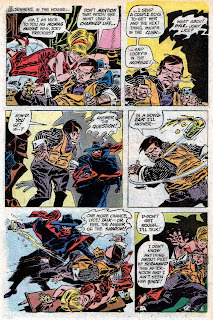 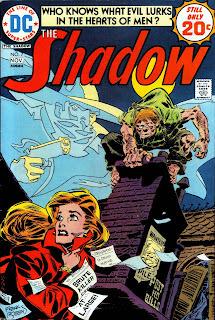 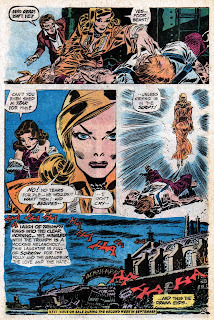 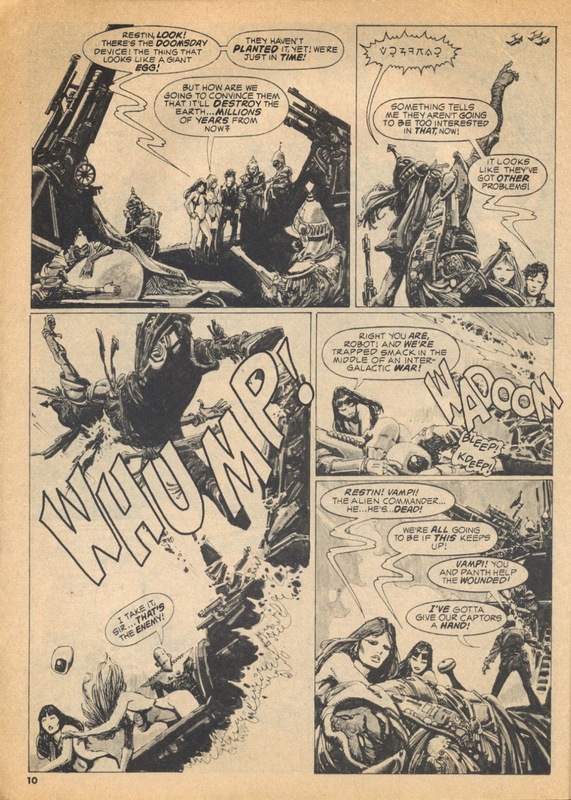 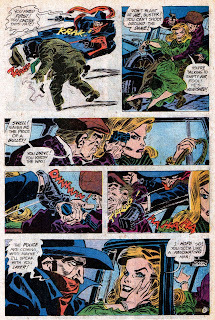 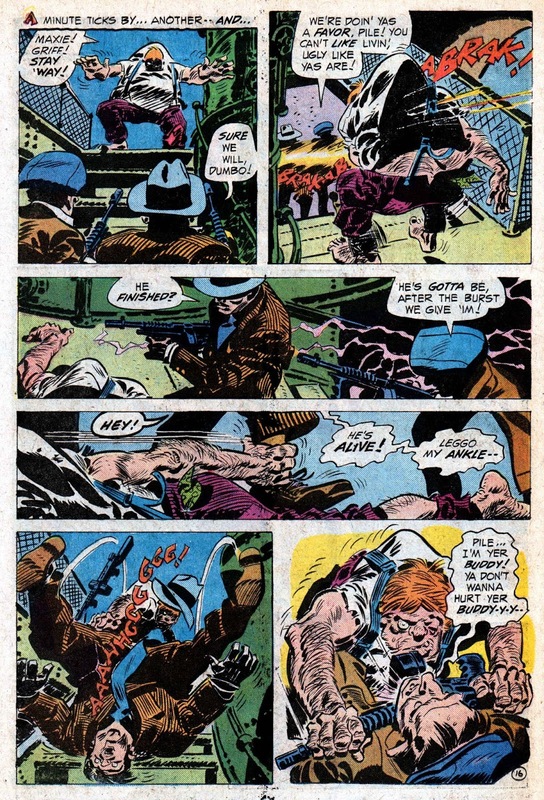 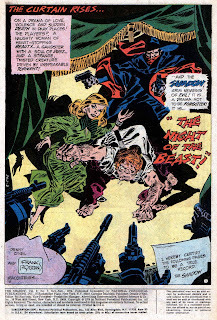 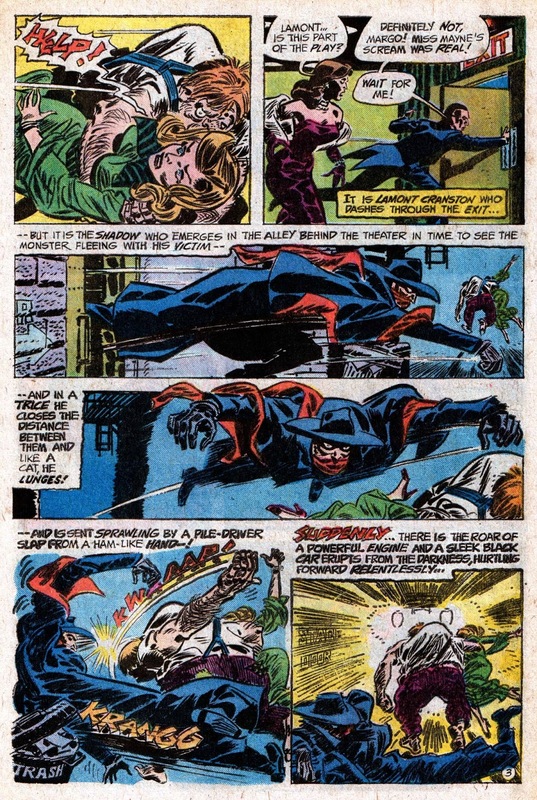 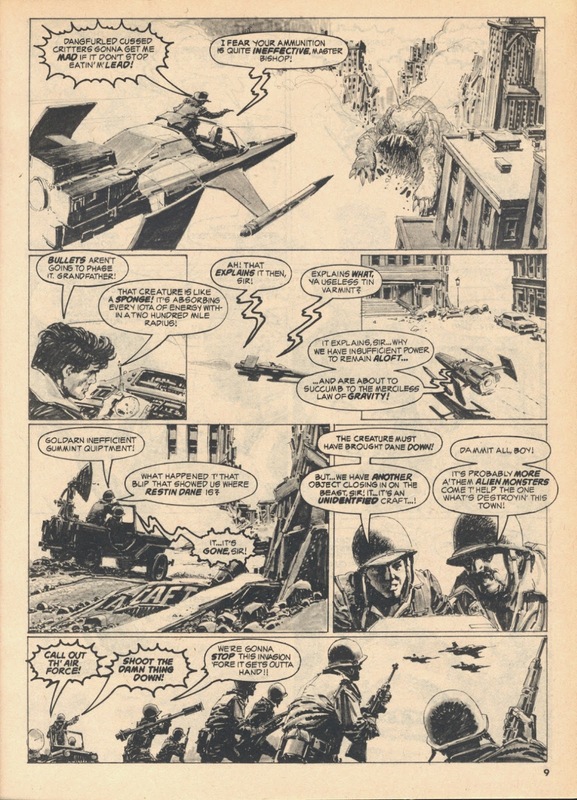 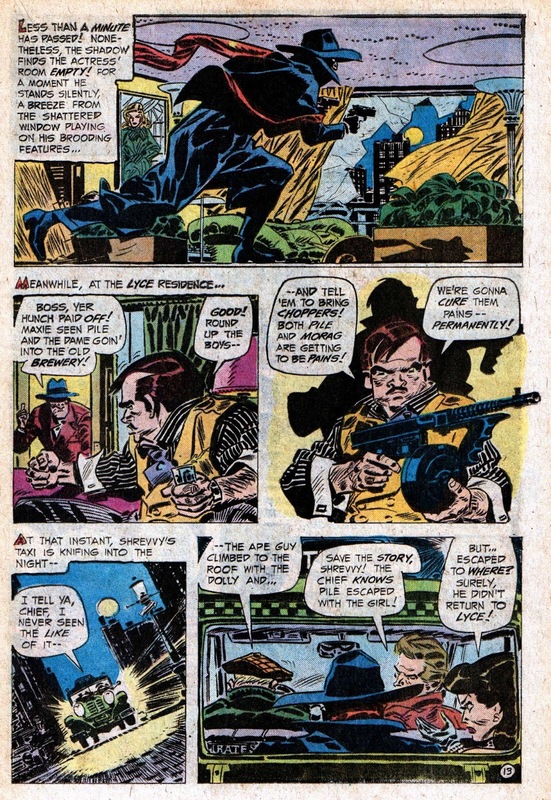 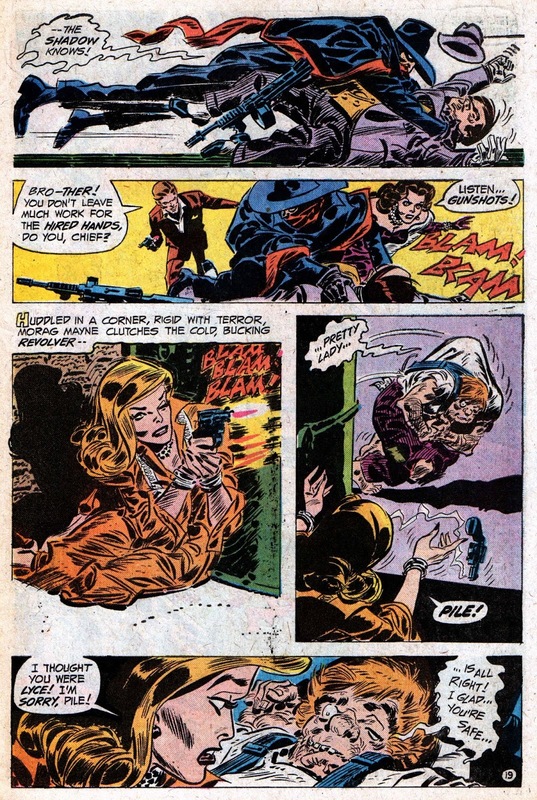 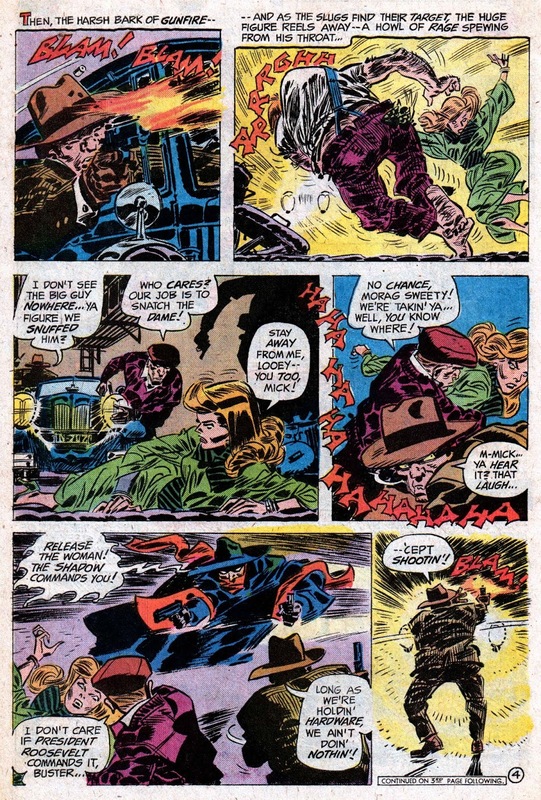 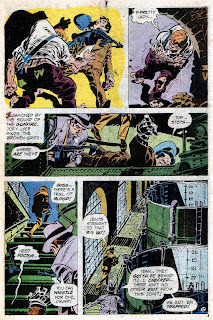 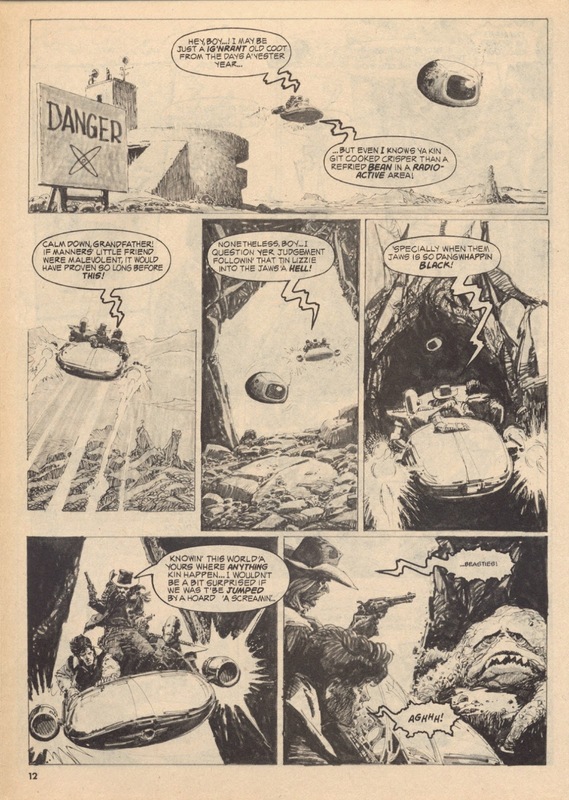 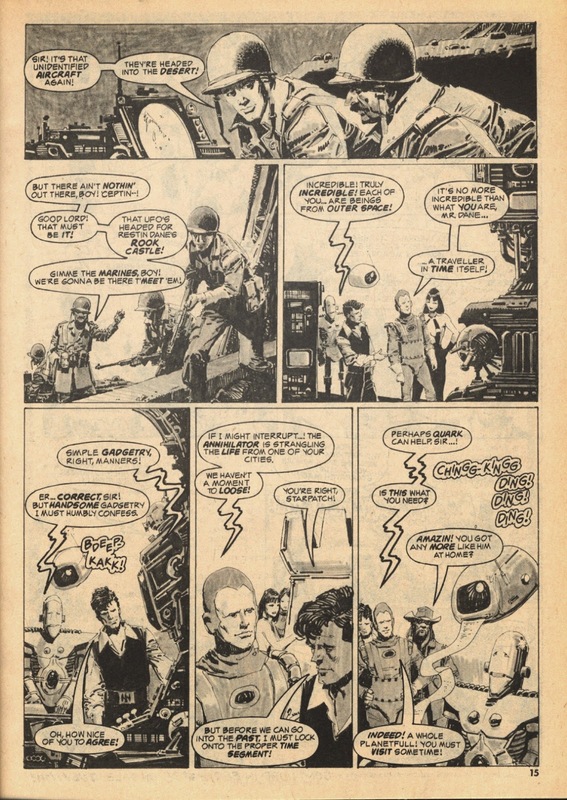 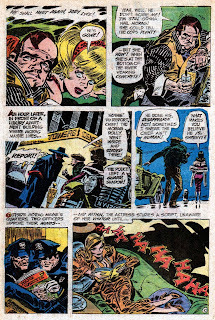 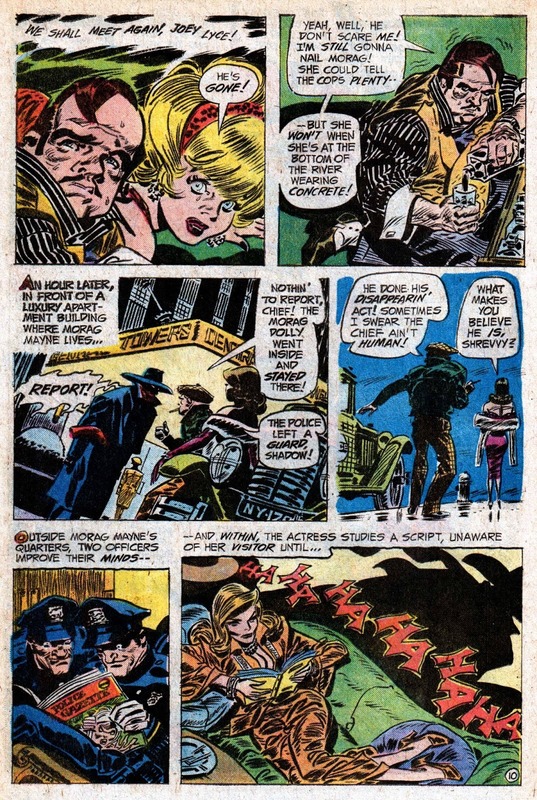 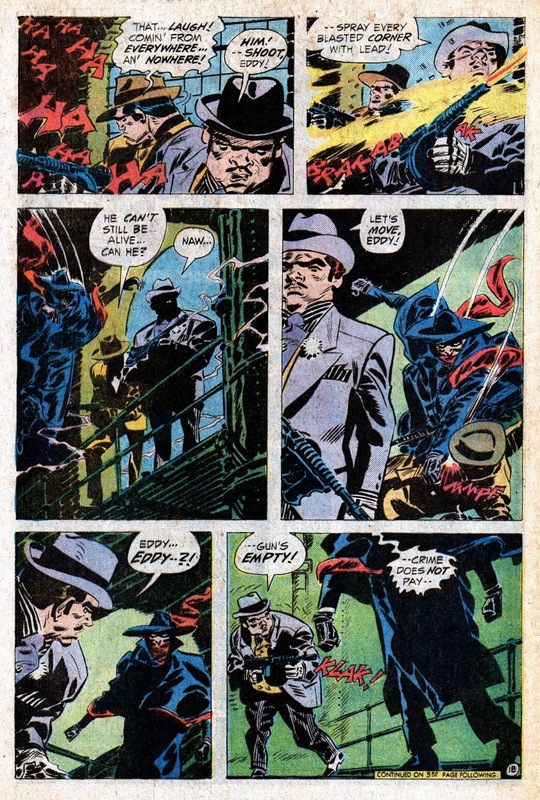 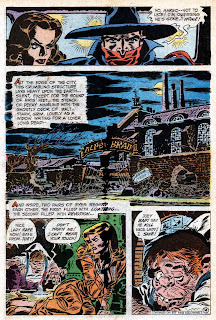 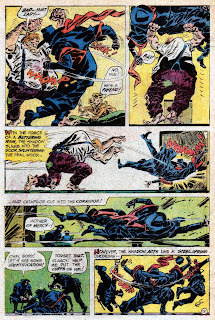 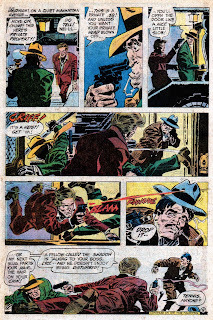 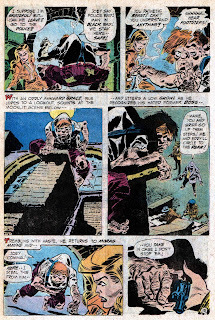 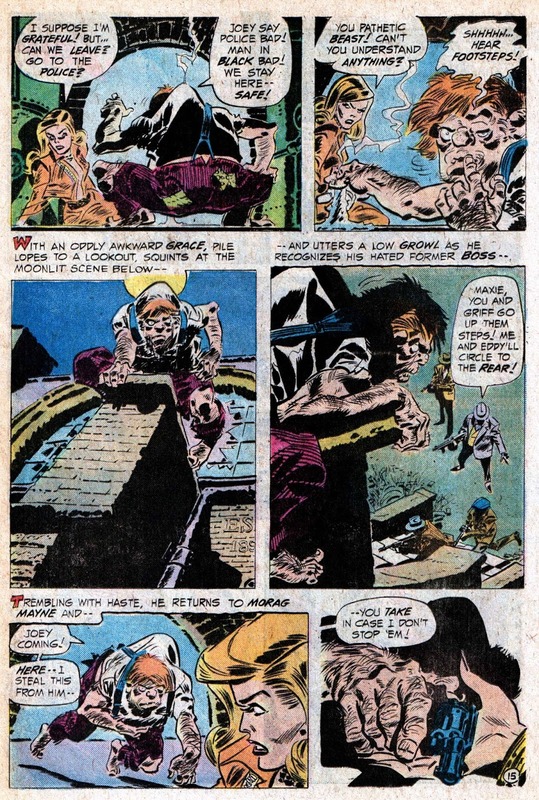 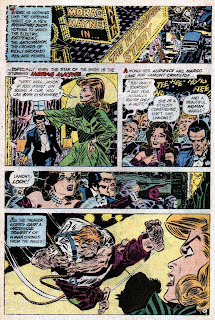 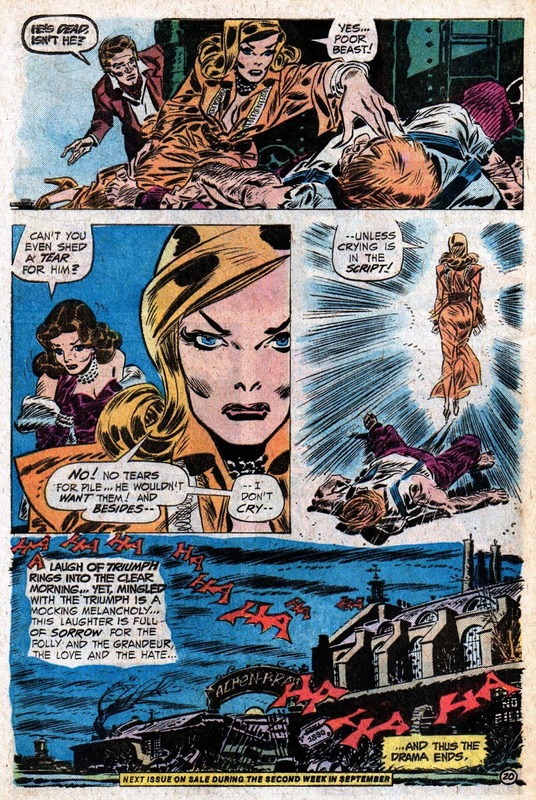 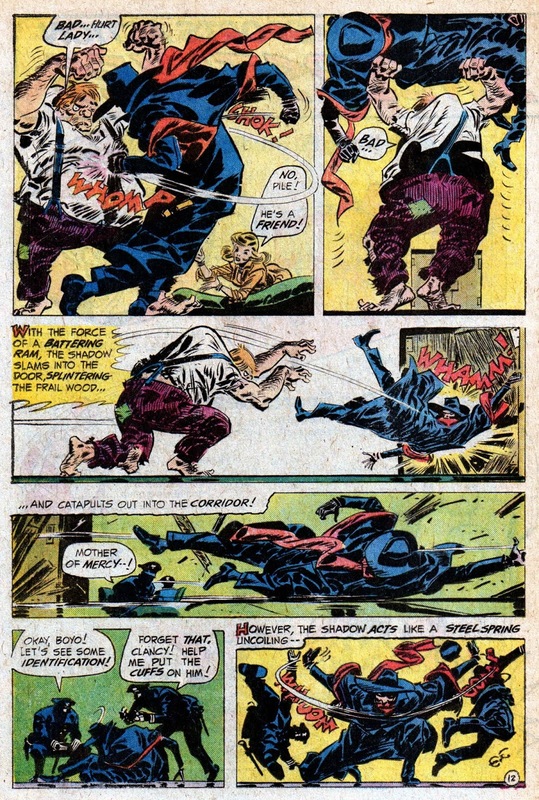 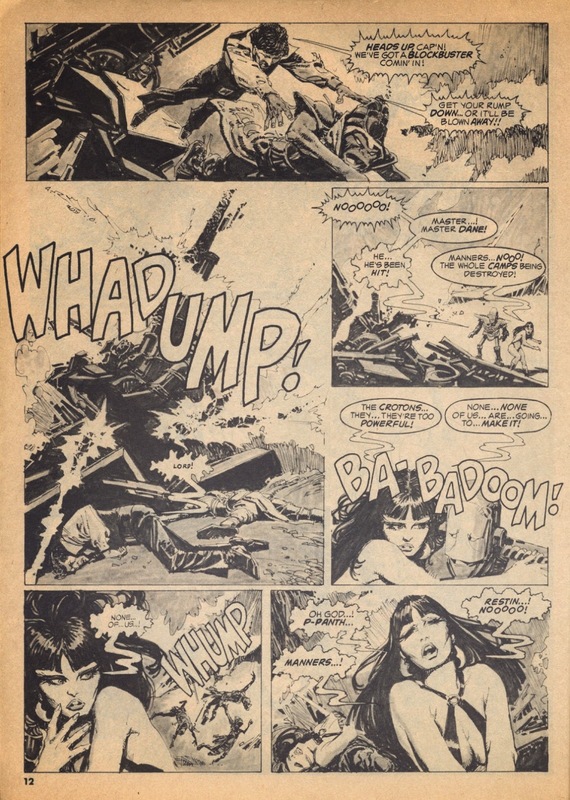 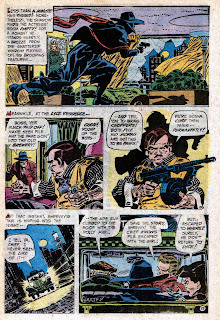 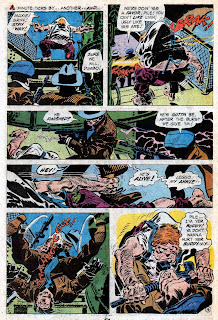 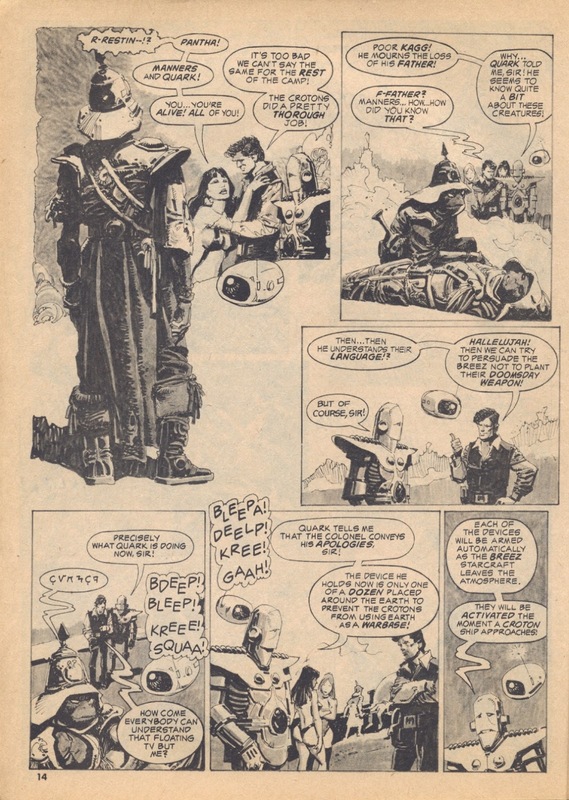 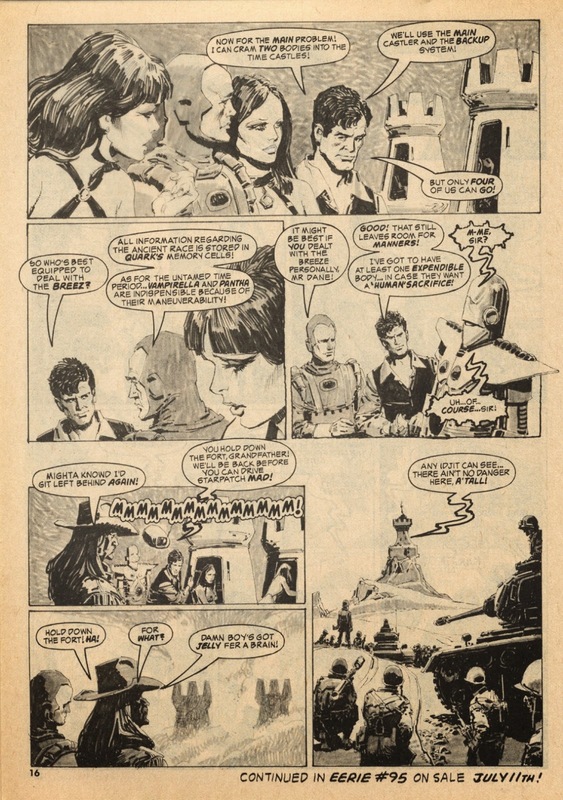 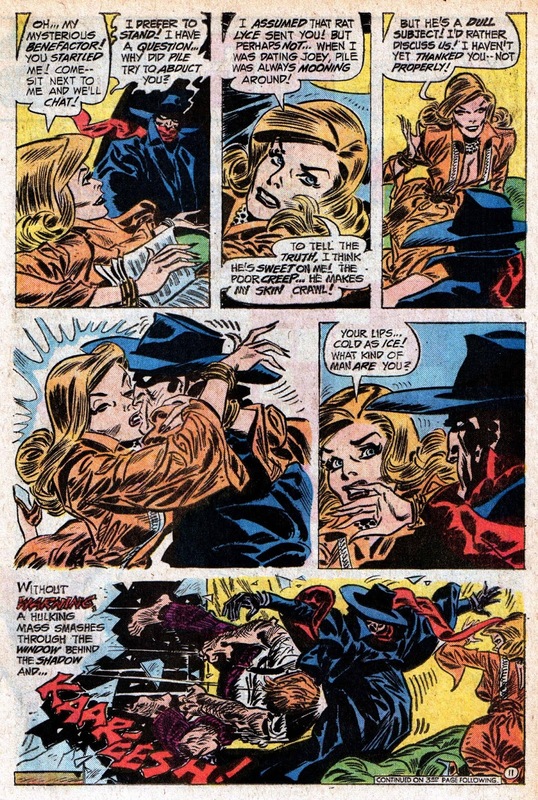 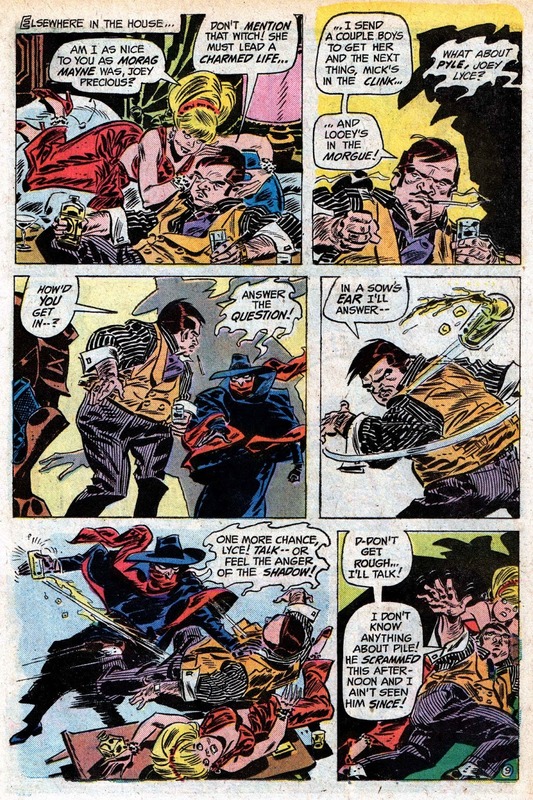 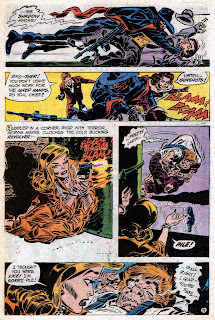 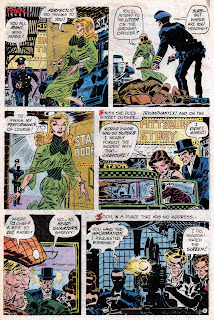 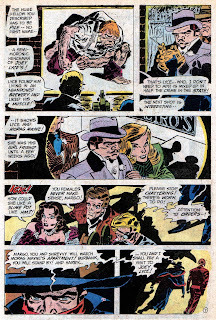 It's easy to overlook Frank Robbins' Shadow, following on as it did from Mike Kaluta's groundbreaking run, especially as poor old Frank STILL divides opinion as to the merits of his artwork. 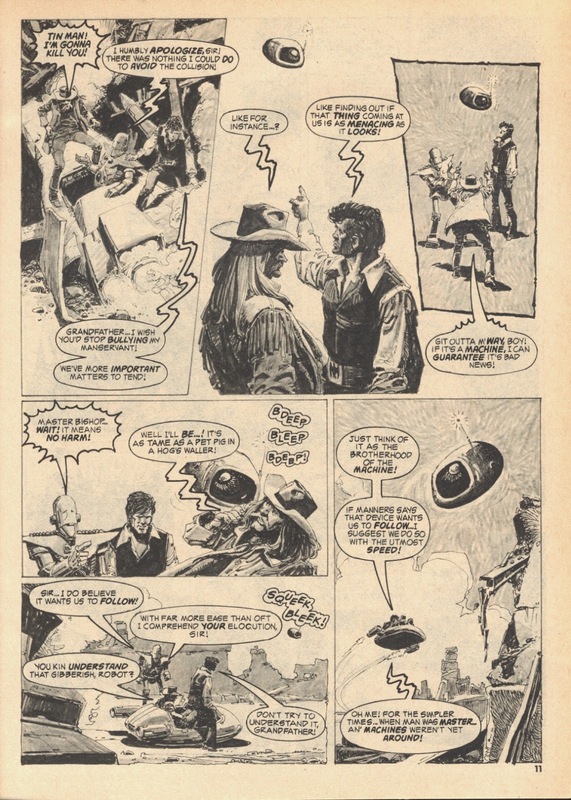 But I'm increasingly of the opinion that anything by Robbins is to be applauded, and with something he was perfect for, like here, that's even more the case. 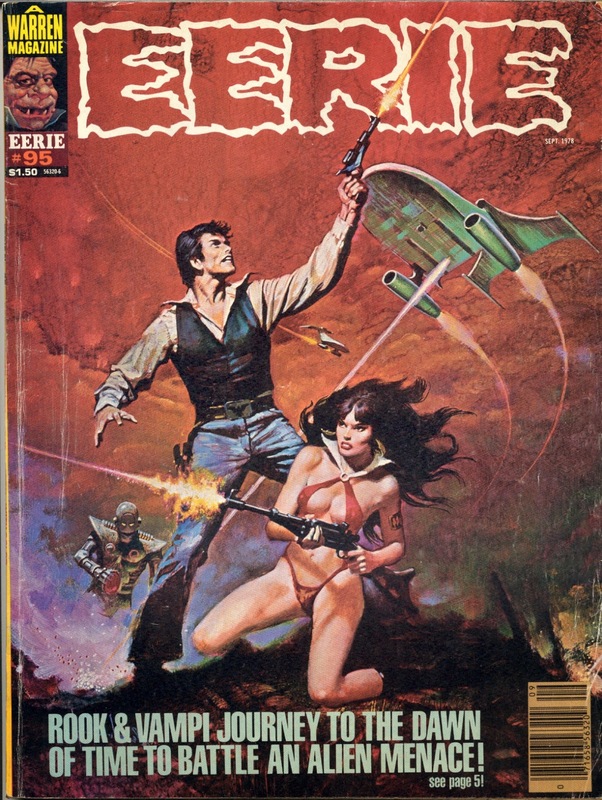 Yeah, I guess Denny O' Neil's script is a little hokey, but you won't care, as Frank was born to draw this time period, and the whole thing drips with atmosphere and moves like a freight train. 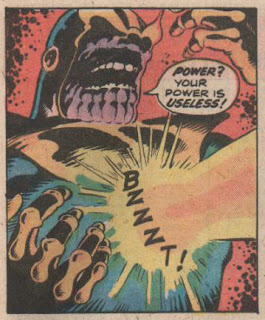 I have a mate who could not be less interested in comics or the Marvel movies, who henceforth & forever shall be known as Non-Comic Dan. 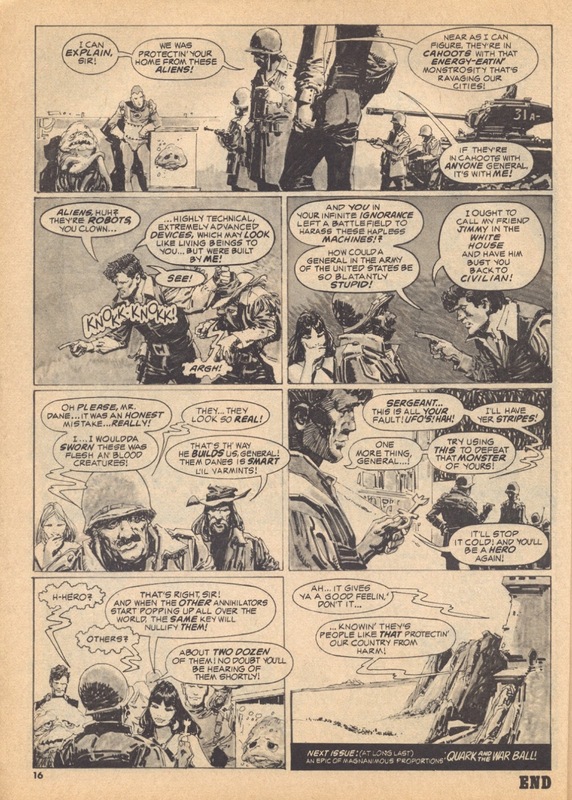 Sample quote: "I don't get it, he's a Captain, and he's American?" 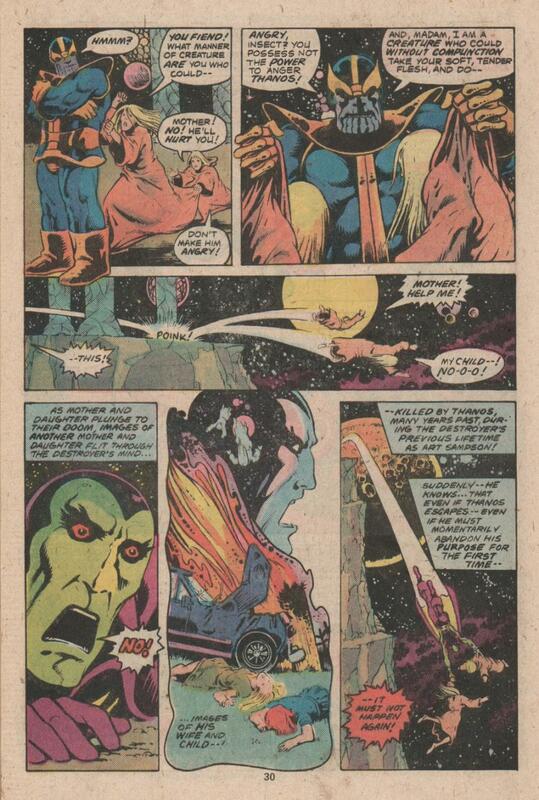 This week, even Non-Comic Dan is walking around in a gravelly, sinister voice going: THA-NOSS THAAA-NOSSSSS. 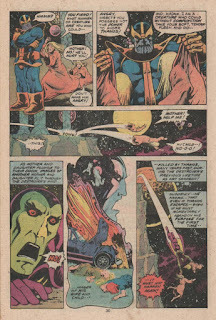 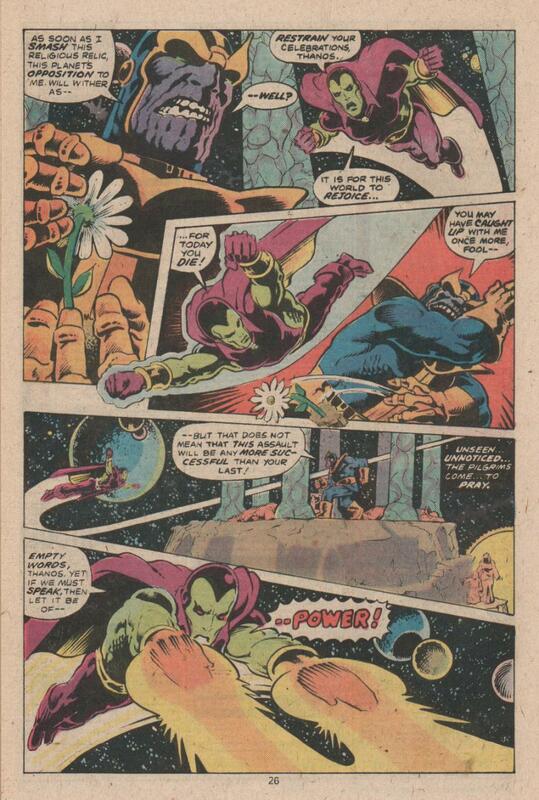 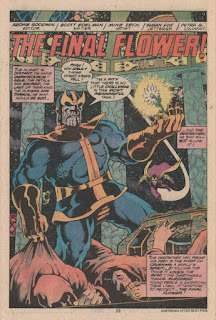 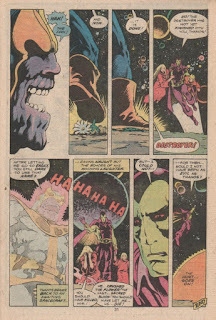 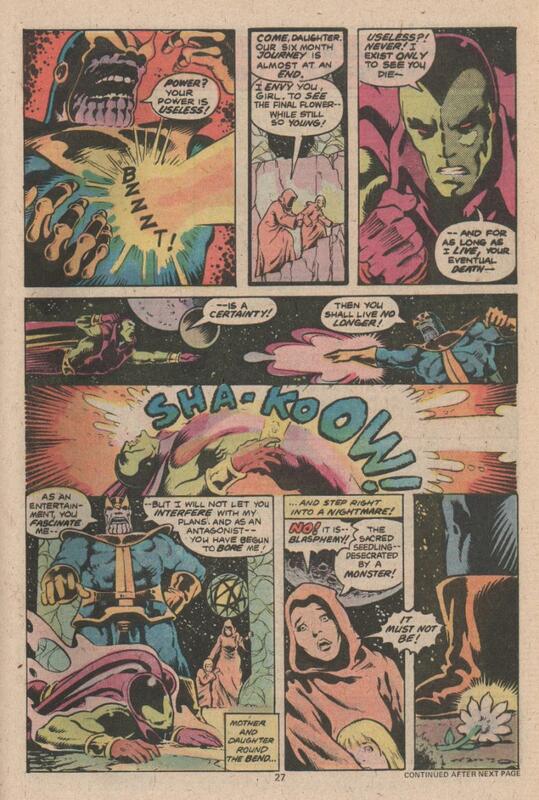 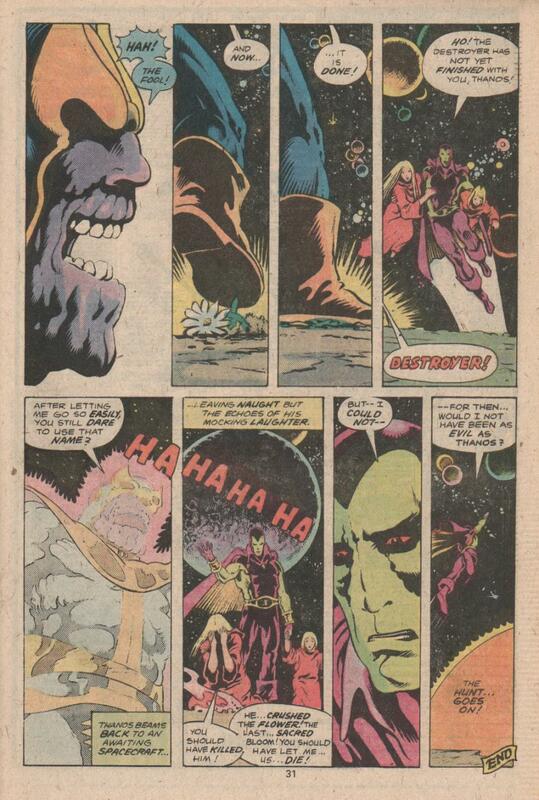 So here's a lost little classic starring the big guy alongside Drax The Destroyer, from Scott Edelman & Mike Zeck, that originally appeared in the back of Logan's Run #6. 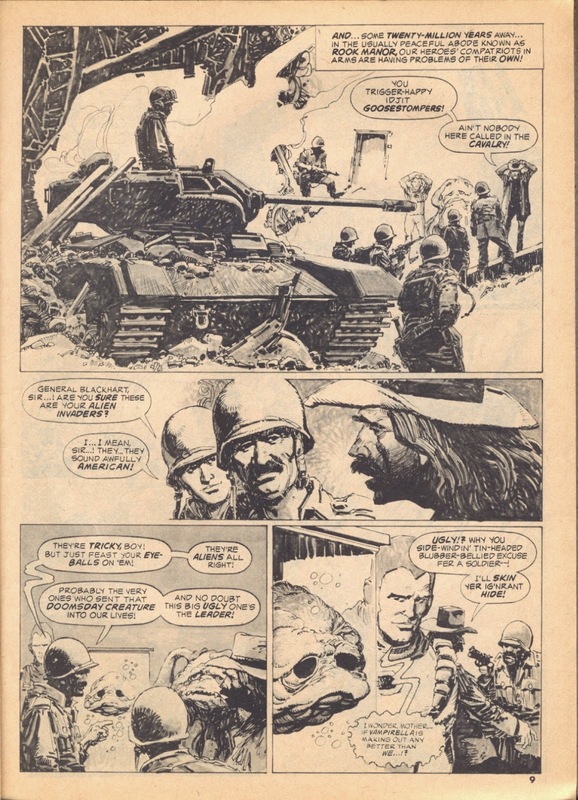 It was always a treat when Warren characters appeared in each others series, and didn't happen often enough for me. 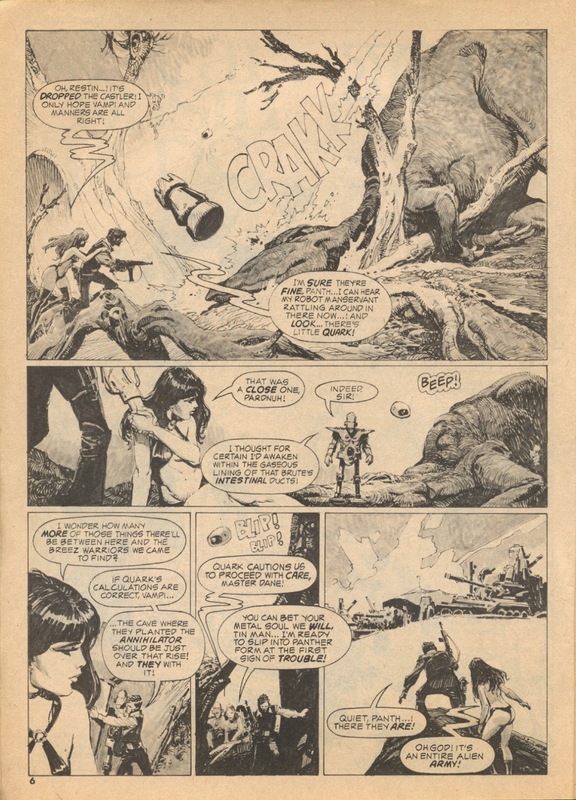 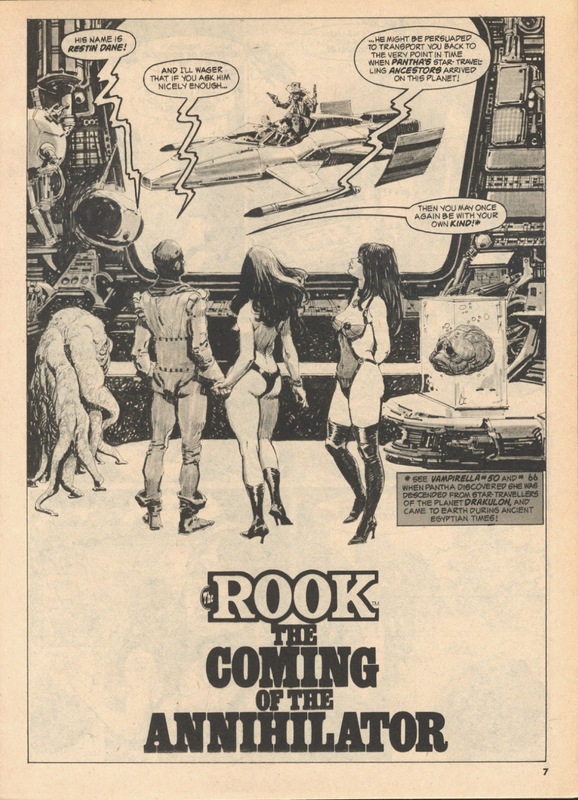 So here's Vampirella & Pantha teaming up with The Rook to take on a million year old energy sucking monster that's about to destroy the Earth. 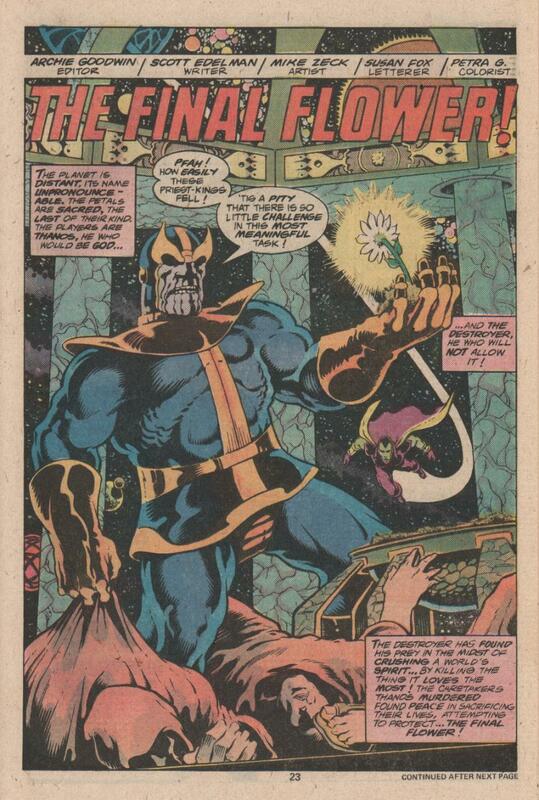 To be honest, this story is a little bit of a missed opportunity. 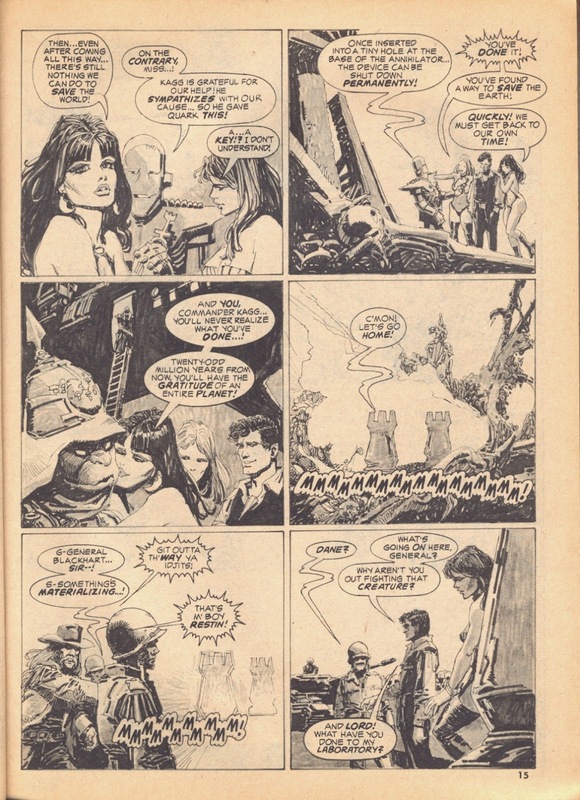 As it takes place in Restin Dane's series, it's he and his supporting cast that take centre stage, relegating the girls to basically standing around looking pretty. 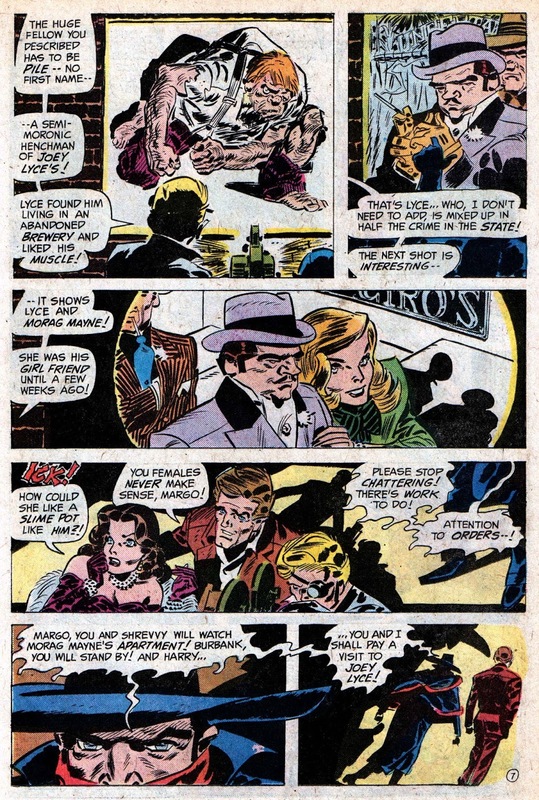 What a way to treat your guests, at least Spidey was more gracious to his Team-Up partners. 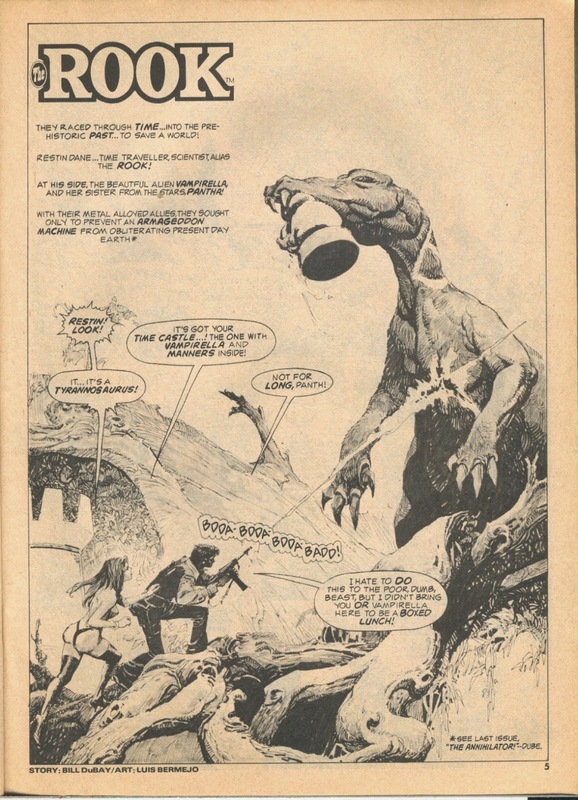 The final anticipated epic battle also doesn't really take place, but you kind of expect that sort of randomness from a Bill Dubay script, don't you?